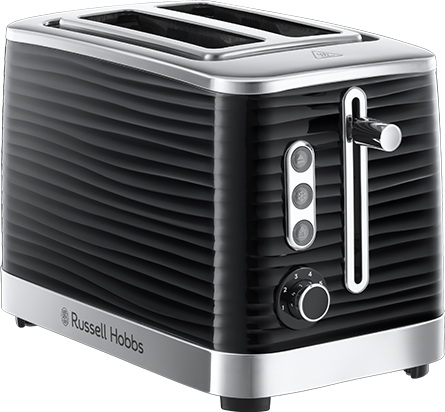 Make a stunning statement on your kitchen counter with the Inspire 4 Slice Black Toaster. 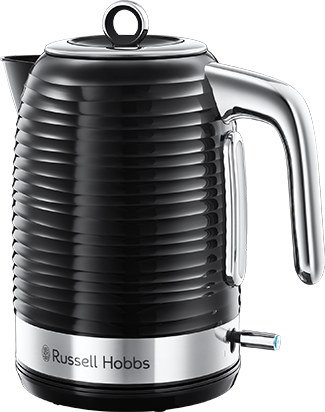 Combining a classic, clean black with a strong stainless steel – this toaster adds a touch of class to any kitchen. Be drawn in by its unique design of entrancing, textured ripples that endlessly wrap around every aspect. With 4 large slots it’s the perfect size to bond over breakfast with those that matter most. So switch off from the world, push down the lever and get back to truly enjoying life with a delicious breakfast and great company. 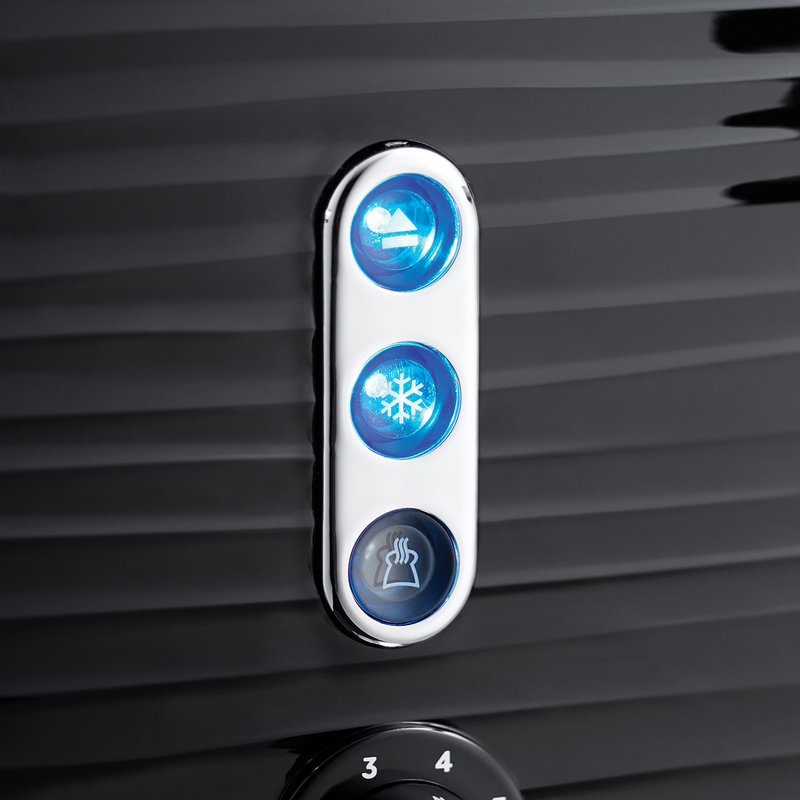 The Inspire 4 Slice Black Toaster has a button for every function. With a defrost feature to make a speedy slice of toast straight from frozen and a cancel button to save your crunchy slice of toast from burning. The Inspire 4 Slice Toaster also comes with a reheat setting for those hectic mornings, when you need to heat up your toast to a time that’s more convenient for you. Breakfast is the most important meal of the day and we think you should be able to enjoy your toast just the way you like it. 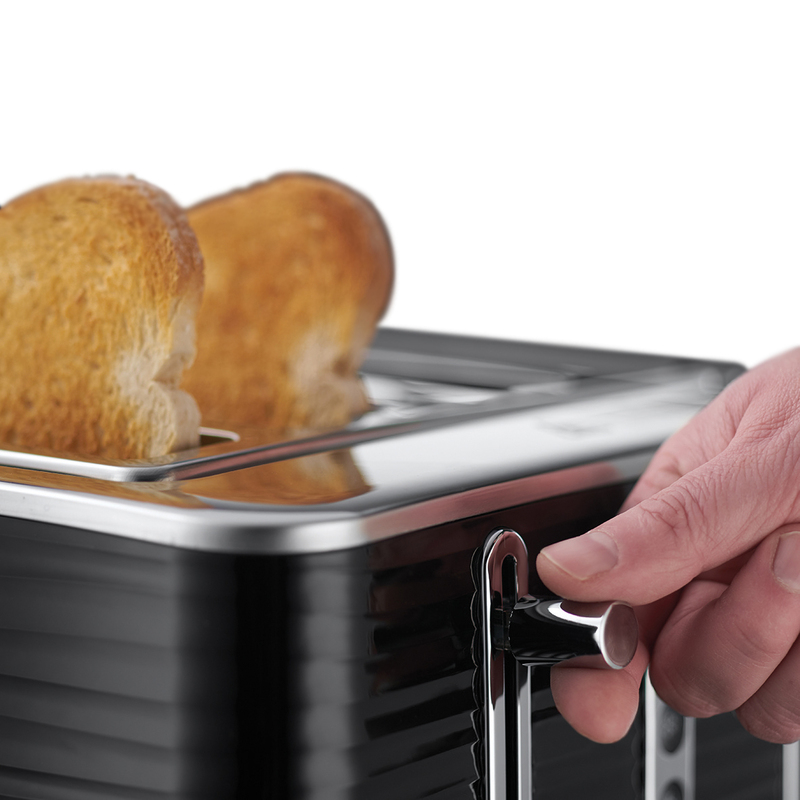 That’s why the Inspire 4 Slice Toaster has been designed with a variable browning control feature so you can enjoy your toast just to your tasting. Whether you prefer your toast light and crispy or that golden, crunchy kind – you can have it all with the Inspire 4 Slice Toaster.